When I was looking into places to go in Budapest (on the off chance I might get some time off!) 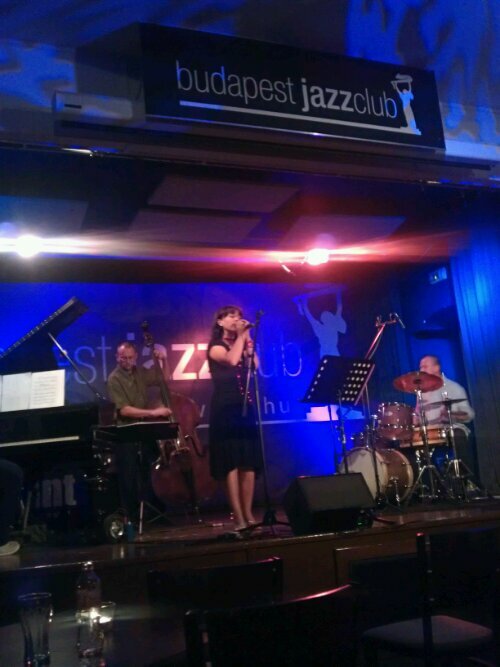 the Budapest jazz Club caught my eye. As luck would have it the two things that sounded good were on the two nights that I thought we would finish early enough to let me go. I wasn’t sure if I would go both nights and of the two I was attracted by tonights program information……or rather lack of it. I decided that if I could only go one night then I’d go tonight. In the end I did make it both nights and I’m glad that I went last night because Marton Fenyvesi was very good, full of energy and a creative style of guitar playing which the two videos I’d seen on youtube didn’t do justice to. 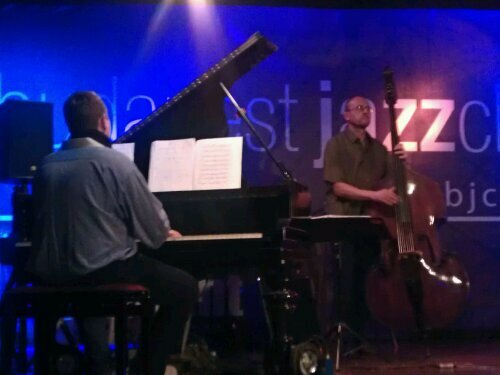 So tonight after another 12 hour day I made my way down to the jazz club again to see what was billed simply as Jazzmozdony 9. 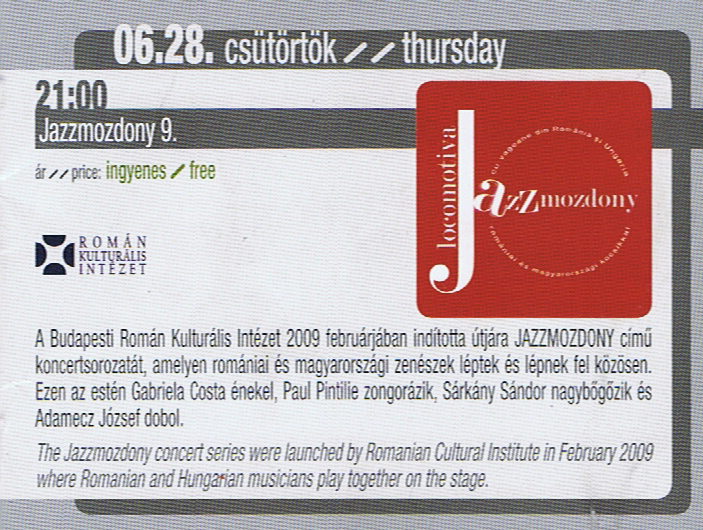 The little I managed to find out in advance was it was a series of concerts at different venues of groups made up of a mix of Hungarian and Romanian musicians. The program I picked up yesterday added the information (translated by Google) that the band consisted of drums, double bass, piano and a singer. Tonight I grabbed a seat nearer the front than I did last night and near one of the open windows as it was another very hot day. The music was much more laid back than last nights manic guitar meanderings but the bass player was really good (actually they all were). 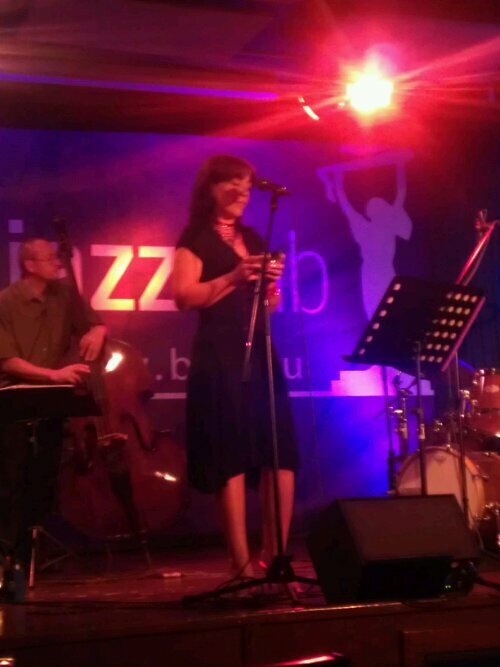 The singer Gabriela Costa (who I presume was Romanian) introduced the songs and what she said was translated into Hungarian by a guy in the audience with a microphone. They played two sets and for the second night the show ended rather abruptly! 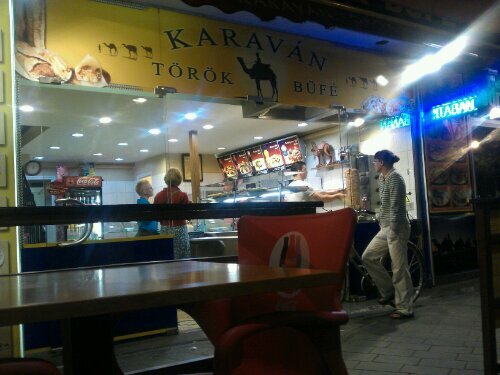 I left about 11:30 and walked back to the hotel stopping on the way at one of the many Turkish kebab shops that seem to be almost on every street corner. I’d passed a few everyday and decided I couldn’t go home without giving one a try. 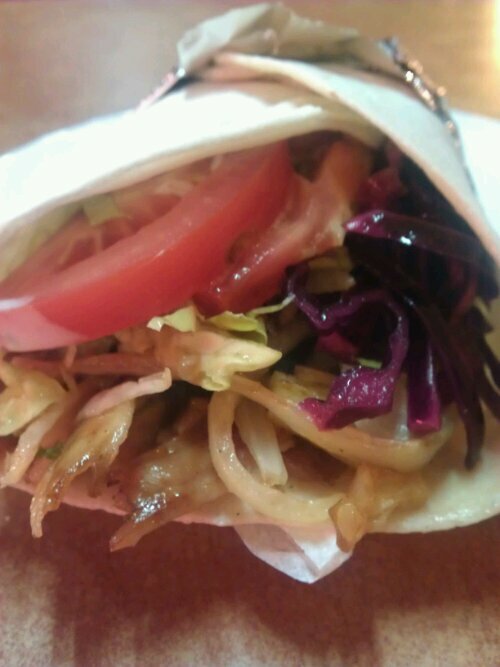 I’m glad I did as it was very tasty and as you could probably guess much better than the ones you get at home!! Footnote: I had just finished typing this with my headphones on, listening to a recording I made of tonights show*, when I saw something out of the corner of my eye through the mirror moving behind me. I turned round and there wasn’t anything there but I suddenly had a shiver run down my spine!!!!! * still kicking myself that I didn’t record last night as well! !